It’s common knowledge that Alfred Hitchcock was a magnificent pervert, but it’s by watching this movie that you get a sense of just how magnificent a pervert he was. His fantasies about blonde ice queens, his fetish obsessions, his need for control over women and his disinterest in them as people are all laid out on the screen, clearer than any Rorschach test. 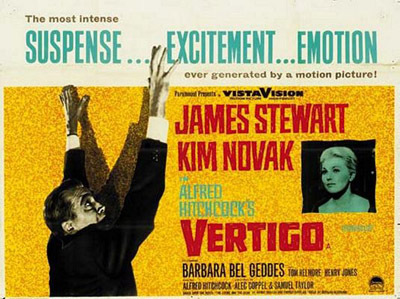 How Well Do You Know Vertigo? Click on a name to view other quizzes associated with that person; names in red have more than one quiz.